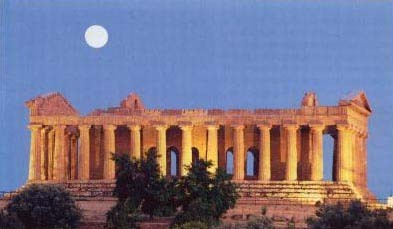 Agrigento's Greek Temple You'll love Sicily! Sicily, the biggest island in the Mediterranean Sea, is full of art, history and traditions. This program provides travelers with everything from the enchanted beauty of Taormina and the majestic ruins of the ancient Greek city of Agrigento, to the millenary salt mine of Trapani and the holiness of the Benedictine Abbey of Monreale. The tour is also a culinary experience with fantastic flavors of the island's cuisine. Departure from other US Cities available at additional cost. * Prices are in US Dollars, per person land only, based on double occupancy, single supplements available. Airfares are based on departure from New York. Ask us for airfares from your city. Departure/arrival taxes will be advised at the time of booking. Single room supplement: $350. Triple room reduction per person: $45.